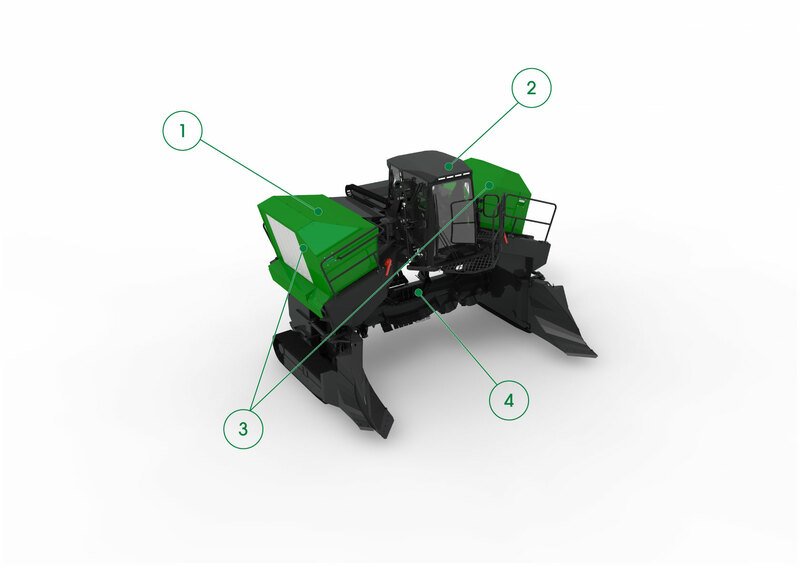 The Komptech Topturn X5000 is a modern machine that delivers consistent performance and optimal windrow pile sizing for most any sized composting operation. 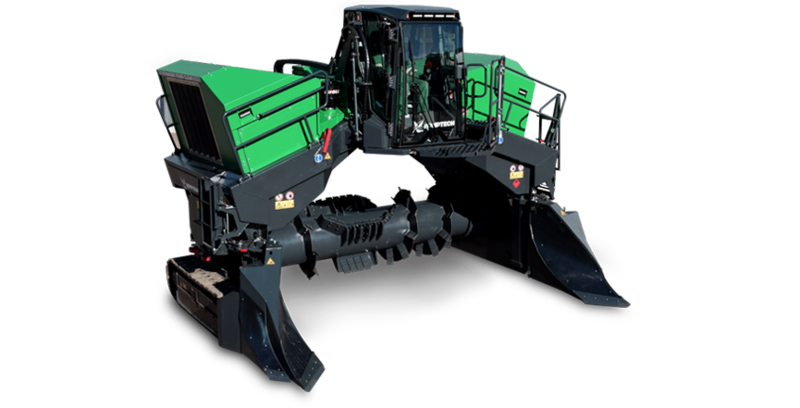 The new X5000, available in your choice of wheel or tracked version, features a large 1.3 yard diameter, hydraulically driven drum with a maximum windrow width of 16'4". The hydraulically extended maintenance platform and body-integrated ladders enable quick maintenance access. This turner features a sturdy, telescopic frame with buckle-resistant design, high-performance hydraulics and a diesel CAT® C9 Tier 4 engine. The CAT® C9 Tier 4 Final diesel engine meets the latest emissions standards and the new cooling system keeps everything cool even under heavy loads and high external temperatures. Operate the X55 safely and comfortably in the roomy, air conditioned and pressurized cabin with optional lift feature. Night operation is made easy with powerful, high intensity LED lights. With a simple press of a button, the left and right body panels easily convert into roomy maintenance platforms with convenient access steps, so you can reach all maintenance points safely and easily. A large diameter, hydraulically driven drum with powerful conveyor and throwing tools accelerates the turning and composting process. This ensures materials are mixed before passing through the drum so nothing is missed. HAVE A QUESTION ABOUT THE TOPTURN X5000?